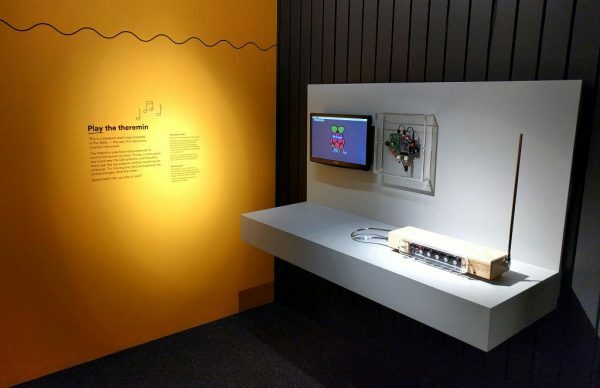 Theremin Museum Exhibit at MAAS PowerHouse Museum #piday #raspberrypi @Raspberry_Pi « Adafruit Industries – Makers, hackers, artists, designers and engineers! They sought a cost effective solution that could be built into the exhibit itself. It needed to be reliable, start without operator intervention and continute to work 24×7 when powered on. Built with BitScope, Blade Uno and Raspberry Pi MAAS used BitScope Blade Uno together with a Raspberry Pi, BitScope and LCD monitor to build the exhibit.